Situated in the Mohawk Valley, “Gateway to the Adirondacks,” sits Johnstown, New York known as “The Colonial City.” Established in 1758, this city of 9,000 in Fulton County is located approximately 40 miles west of the state capital, Albany. It was founded by Sir William Johnson, a Baronet who named it after his son, John. Sir William came to New York from Ireland in 1732 to be the Superintendent of Indian Affairs and served as a Major General in the British forces during the French and Indian War. Rewarded for his service, Johnson received large tracts of land in what is now Hamilton and Fulton Counties, established Johnstown, and became one of New York’s most prosperous and influential citizens. Molly Brant, born a Canajoharie Mohawk in 1736, played a major role as consort of Sir William Johnson in maintaining good relations with Native Americans in the Mohawk Valley region. Sir William died in 1774 before the American colonies declared their independence from Britain. The Battle of Johnstown on October 25, 1781 was one of the last battles of the American Revolution. Historical markers dot the city, describing the people and events that took place here and shaped history. Everything that makes small towns great can be found in Johnstown: a friendly community of neighbors, good schools, volunteerism and sense of civic duty, holiday parades and summer band concerts, and outdoor activities all year long. Johnstown sits in the middle of 44 lakes and fall foliage heaven. Come for a visit. You just might find yourself deciding to stay for a lifetime. Rose Knox was born on November 18, 1857. She moved with her family to Gloversville, New York, where she met and married Charles Knox in 1883. Mrs. Knox went on to run one of the most successful commercial enterprises in the United States, Knox Gelatine. She was the first woman to serve on the board of directors of the American Grocery Manufacturers' Association in 1929. She ordered the factory kept clean as a kitchen, beautified the grounds, and abolished the rear door for employees because "we are all ladies and gentlemen here together." 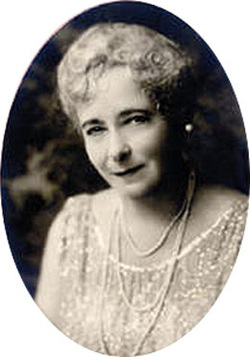 Rose Knox was named America’s foremost woman industrialist in a 1949 Collier’s article. She stepped aside as the company's president only when she reached her 90th birthday, but she retained her position as chairperson. Rose died in 1950 at her home located on Second Avenue in Johnstown, which is open periodically during the year to visitors. Click here for more extensive biography of Rose Knox. 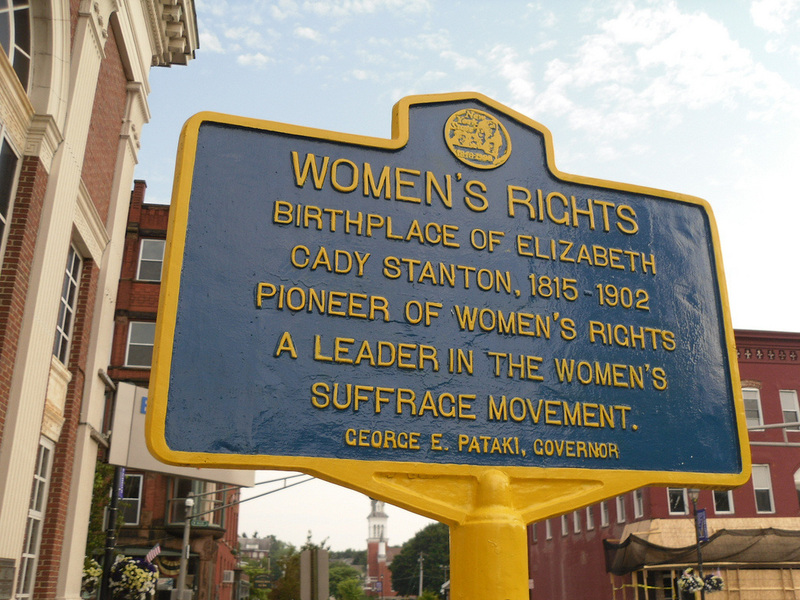 Barbara McMartin was born in Johnstown and grew up at 9 S. William Street, the house where Elizabeth Cady Stanton and Susan B. Anthony worked on the third volume to their “History of Woman Suffrage” in 1884. Barbara completed PhD work in mathematics and then became involved in the environmental movement in the Adirondacks. Her primary focus was the nature, culture and management in the park. She wrote 25 books, both guidebooks and histories of the Adirondacks, and maintained the popular 11-book Discoverseries, which covers all regions of the Adirondack Park. Ms. McMartin died of breast cancer on September 27, 2005. Mary “Molly” Brant, born in 1736 a Canajoharie Mohawk, also known as Konwatsi’ tsiaienni (meaning Someone lends her a flower), was a woman of dignity and influence who was comfortable in two very different cultures. She played a major role as consort of Sir William Johnson in maintaining good relations with Native Americans in the Mohawk Valley region of Upstate NY. 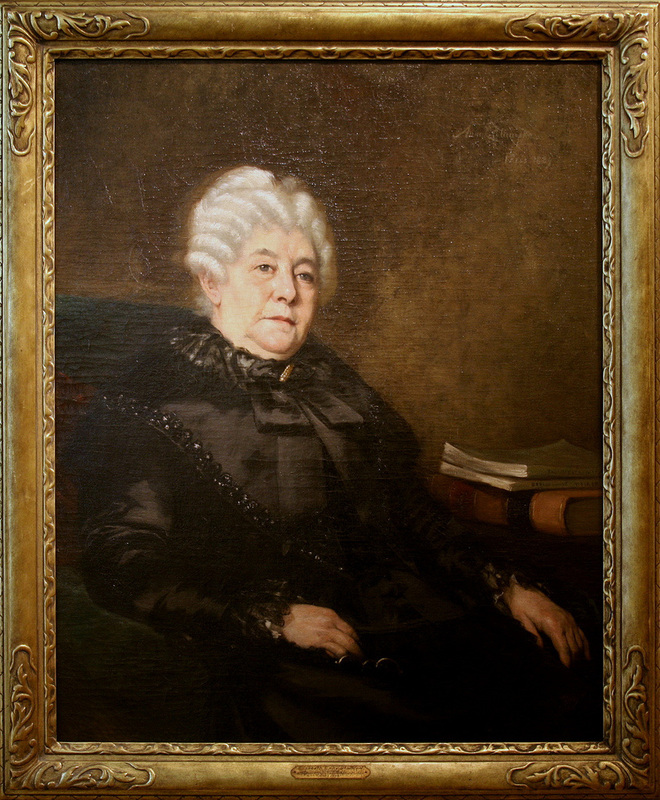 Following his death, Molly Brant influenced several tribes to unite around the cause of the British during and after the Revolutionary War from 1775–1783.